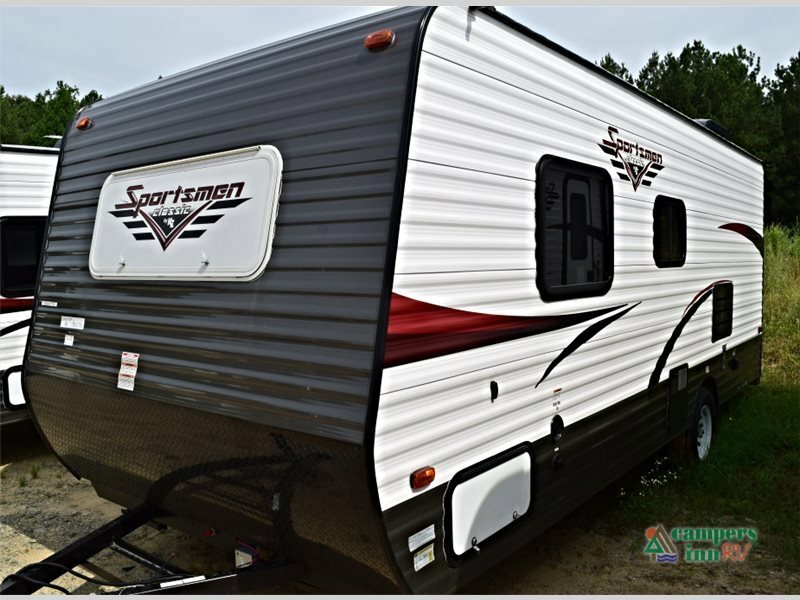 2017 KZ Sportsmen Classic 160QB (190), This KZ Sportsmen Classic 160QB features a front bedroom with nightstands, plus much more!Stepping inside to the left of the entrance you will find a large closet and bathroom. The bathroom has a toilet, corner shower, and a sink.Along the road side wall there is a refrigerator, TV, two burner gas hot plate, and a sink. 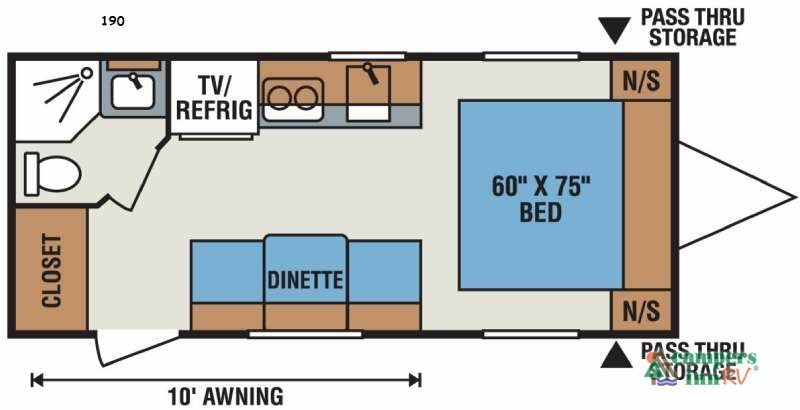 On the opposite side, there is a booth dinette.In the very front you will find a comfortable 60" x 75" bed with nightstands on either side of the bed.There are plenty of overhead cabinets throughout the inside of the travel trailer as well as an exterior pass thru storage compartment to allow you to bring along plenty of gear. 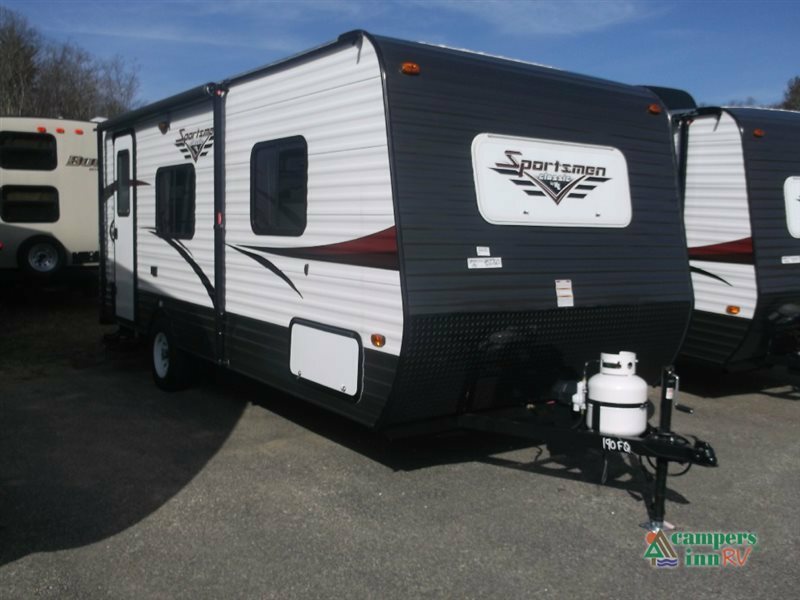 2014 KZ SPORTSMEN CLASSIC 190, Beyond Iowa are excellent places just waiting to be explored! 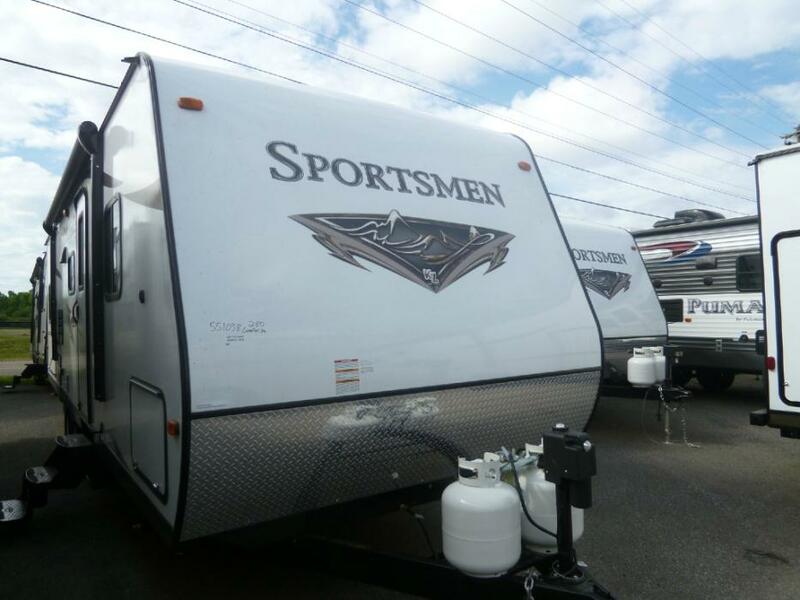 Hit the roads with this 2014 Sportsmen Classic 190 travel trailer. 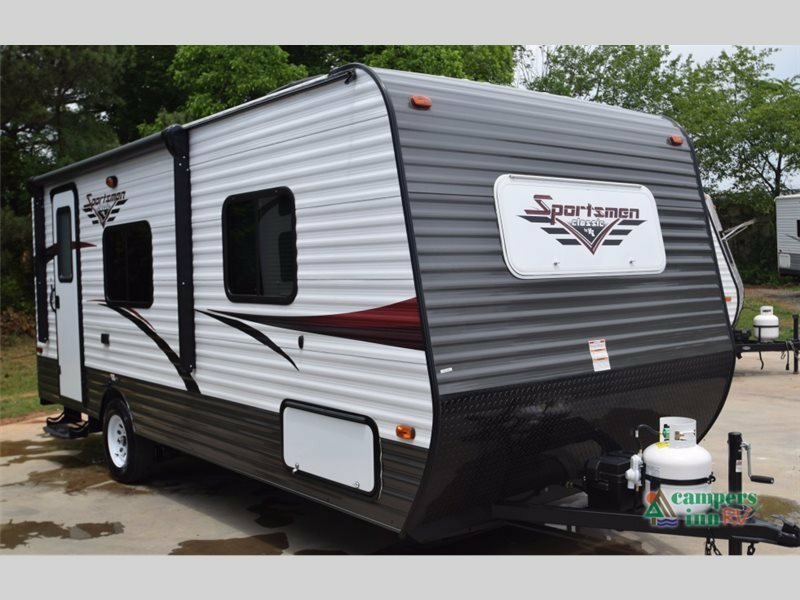 Beautifully produced by KZ, this new travel trailer is complete with a pair of stabilizer jacks, and awning, 13 inch tires, and tinted Windows. This lightweight travel trailer has aluminum sidewalls and an aluminum roof.Sometimes simple pleasures are the best! Remember the times before Internet and cell phones?? So do we....The Sportsmen Classic....back to basics! 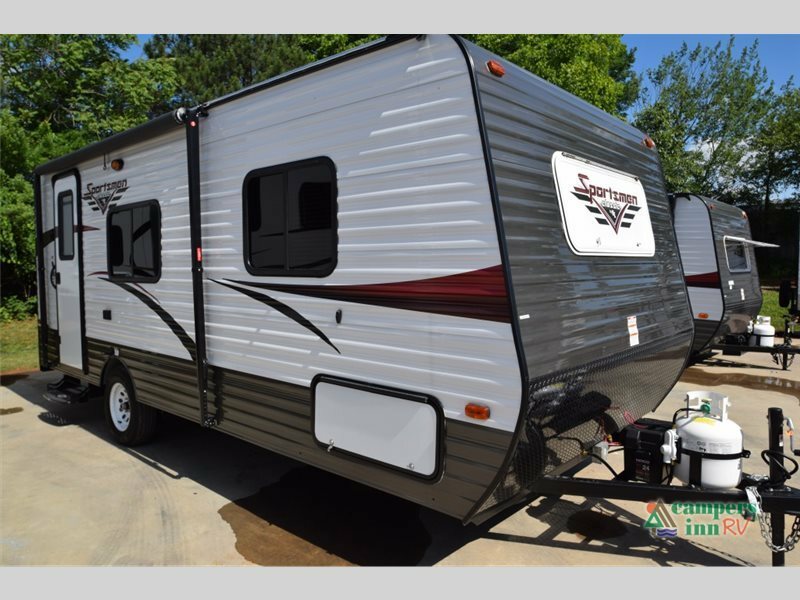 13" tires, 2 stabilizer jacks, 20lb LP tank, , Aluminum Sides, The bathroom is toward the back and has a shower, sink and toilet. 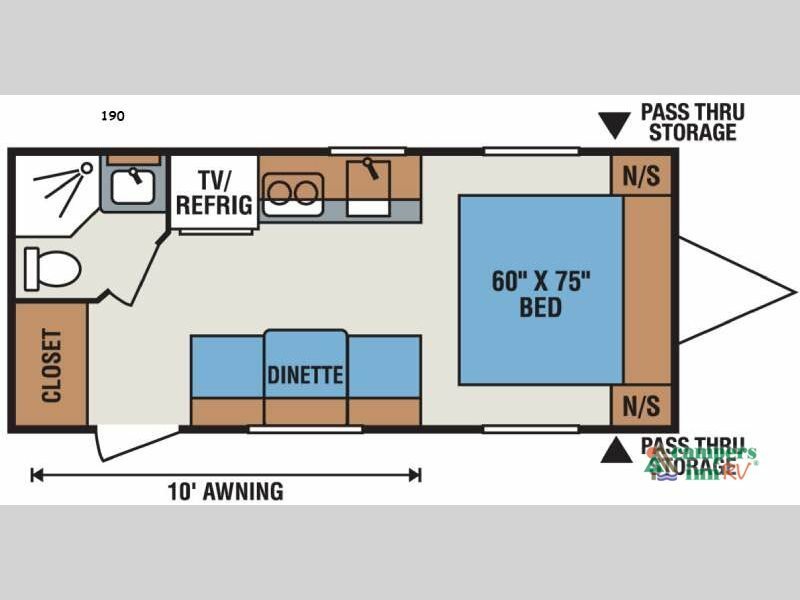 , The kitchen is equipped with a single bowl sink, 3cu ft gas/electric refrigerator, microwave, 2 burner gas hot plate, 8,000 BTU air conditioner, 16,000 BTU furnace and 6 gallon gas water heater. , There is a full size walk around bed in the corner up front along with a small dinette that folds down. There is a nice, big closet right as you walk in the door giving you plenty of storage. 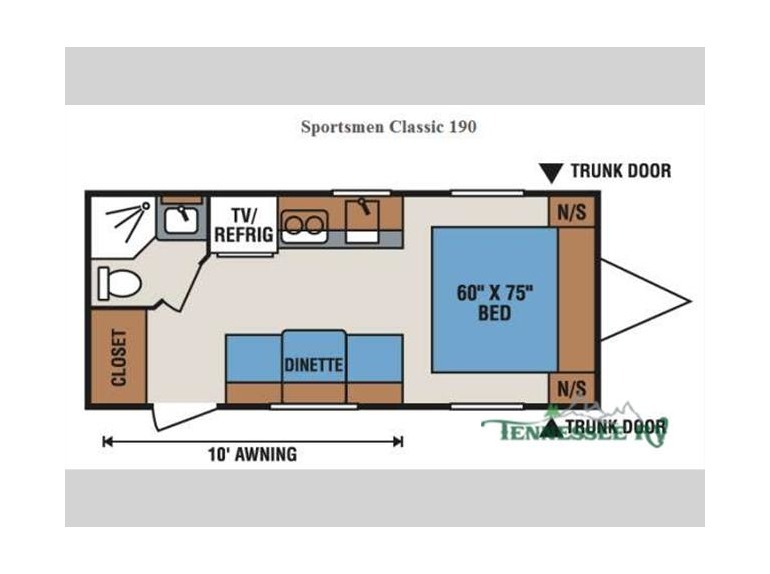 , You will find a nice sized dinette across from the kitchen along with a TV antenna! 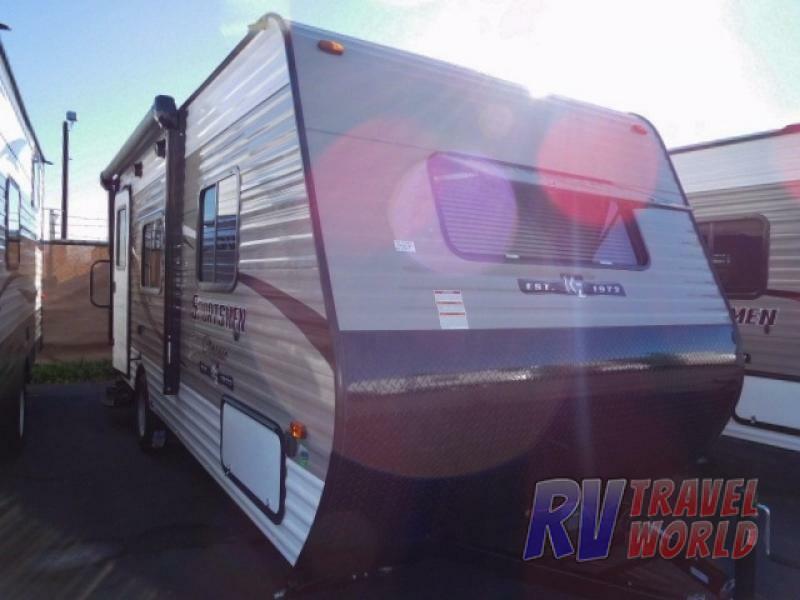 , Aluminum roof, Awning , Spare tire, Tinted windows, Very affordable, lightweight unit! !